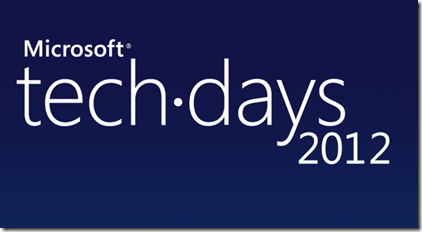 I’m very happy that I have been invited to speak at Microsoft TechDays 2012 in Gaza and this is the first official Microsoft event ever in Gaza. And a Co-Speaker with my friend Mohamed Saleh, talking about Collaboration features in SharePoint 2010. This Two-Days event will be launched on the 14th of March at Islamic University of Gaza (IUG), and the next day will be at Al-Azhar University. I hope to see you soon .. I hope to meet you more and more soon.